Individuals, companies and communities are being encouraged to support Milton Keynes Hospital’s Cancer Centre Appeal via the Big Give Challenge –and have their donation doubled. The Big Give is a national initiative where any donation made online via this link: www.bit.ly/BigGiveMKUH can be doubled at no extra cost to the person making the donation. It is only open for donations for one week from noon on Tuesday November 27 to noon on Tuesday December 4. 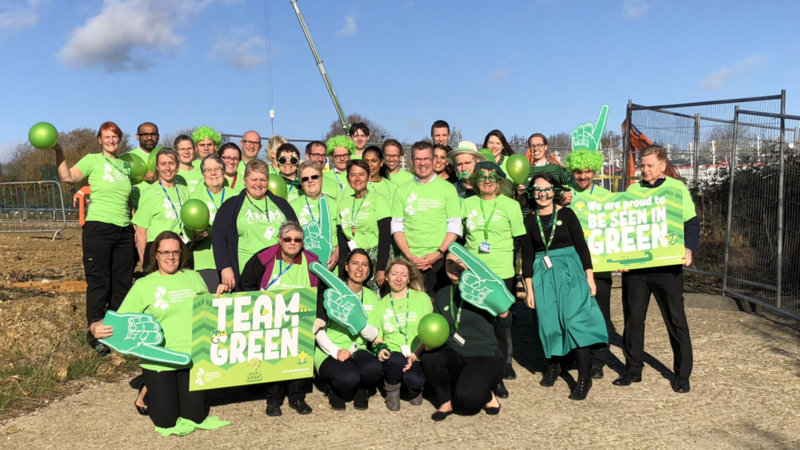 Milton Keynes Hospital Charity are hoping members of the public will rally round to help them meet their target of £10,750 – which then unlocks all the matched funding available to double donations. The money will be used for the creation of a family area in the Cancer Centre – a bright, warm and welcoming environment where families, including children, can take a break and relax while their loved ones are undergoing treatment. The new Cancer Centre is due to open in late 2019. For the first time, it will see most cancer services at the hospital under one roof in a dedicated new building. 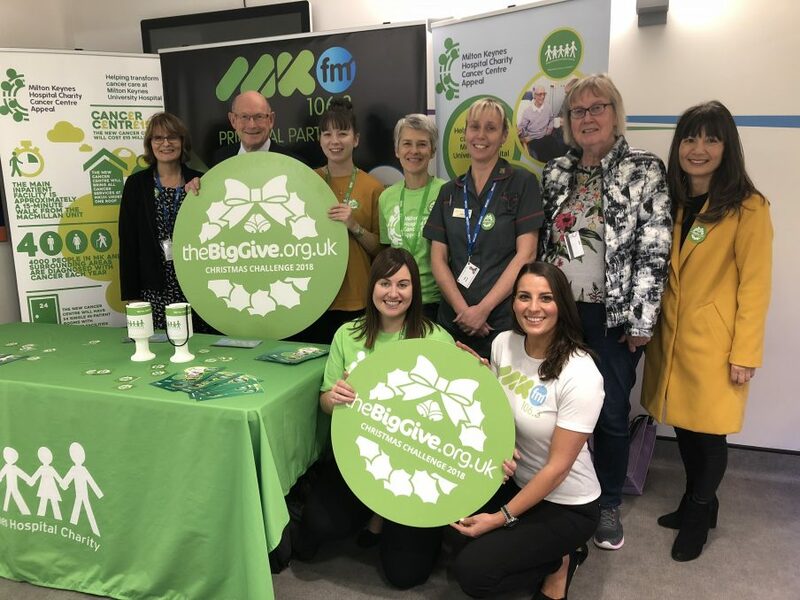 The charity marked the launch of the Big Give with a live radio broadcast by MKFM from the hospital’s main entrance.